I love places that gives me some peace and quiet. It gives me that chance to reflect on my life. Maybe somehow, I'm a bit of a loner that way. But we all need to be alone sometimes. That still water comforts me. The sunset tells me, it is okay. The day is done, tomorrow is another day. Yes, this is my piece of haven in Singapore. Changi Boardwalk is quite a distance from the City. There are many ways to get there though, but for me, I always take the Taxi for convenience. I always ask the taxi to bring me to Changi Boardwalk entrance which is at Andover Road, just close to Changi Beach Club. - Take the MRT to Tanah Merah Station. Exit and ride Bus Number 2 to Changi Village Bus Terminal. - Take the MRT to Tampines Station. Exit and ride Bus Number 29 and stop at Netheravon Road. Note that this will still be a long walk to the Changi Boardwalk. About 5 to 10 minutes, depends on how fast your pace is. Alternatively, you can stop outside Changi Village Hotel. 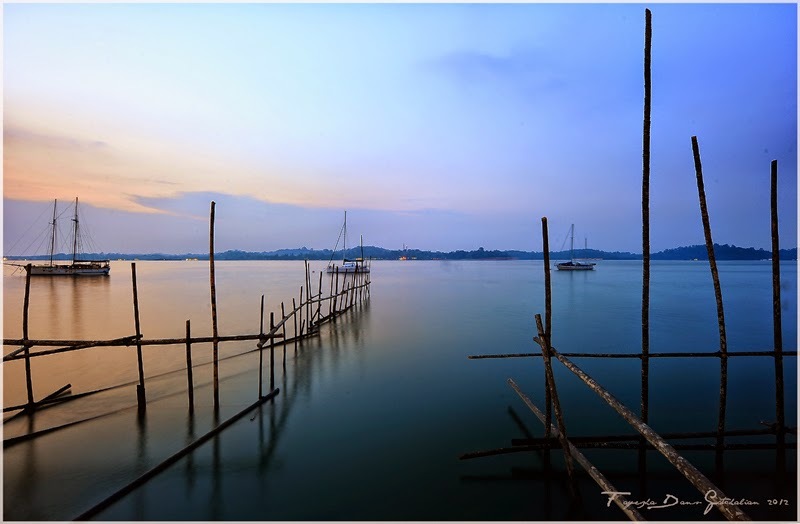 - Ask the Taxi to bring you to Changi Boardwalk, near the Changi Beach Club along Andover Road. It will cost you around $15-20 from the city. Have Fun! I hope you will love it as much as I do.